73 Days. (Indeterminate) This tomato truly resembles a peach. 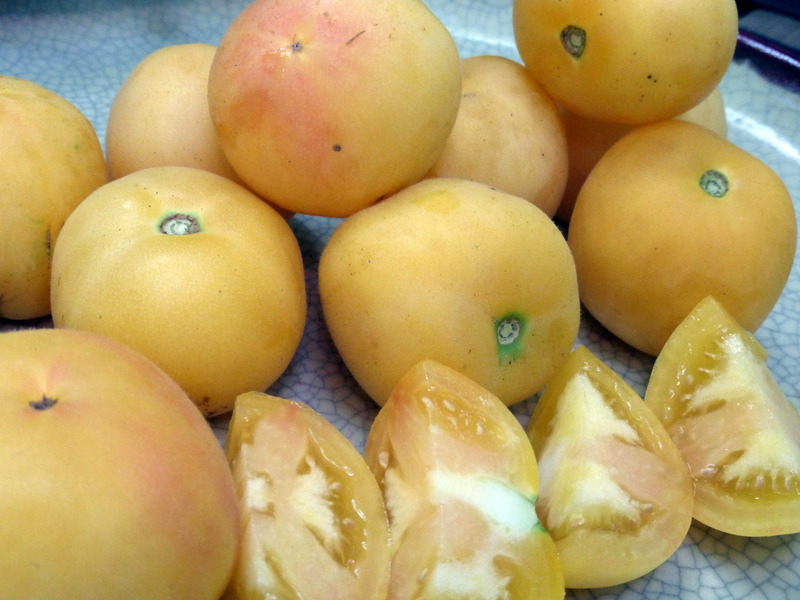 2-3 oz fruits have a peach-like fuzz and are yellow, often with a hint of pink blush when fully ripe. Outstanding flavor. A good storage tomato if picked light green right before frost. Highly split-resistant. Vigorous vines bear until frost. Pkt.